The concept of quality is familiar. People make judgments about it every day. 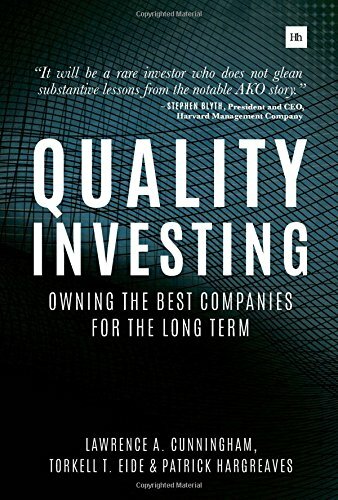 Yet articulating a clear definition of quality is challenging. The best companies often appear to be characterized by an ineffable something, much like that of people who seem graced by a lucky gene. Think about those of your peers who seem a lot like you but somehow always catch a break. They are not obviously smarter, smoother, richer, or better-looking than you, yet they are admitted to their university of choice, get their dream job, and earn considerable wealth. Try to discern what they have that you don’t, and you are stumped. Chalk it up to fate or plain dumb luck. Businesses can be similar. For reasons that are not always evident, some end up doing the right things with better results than average. They may not appear to be savvier acquirers, more adept marketers, or bolder pioneers, yet they integrate new businesses better, launch products more successfully, and open new markets with fewer mishaps. Perhaps through some combination of vision, scale, or business philosophy, these companies uncannily come out ahead. In our view, three characteristics indicate quality. These are strong, predictable cash generation; sustainably high returns on capital; and attractive growth opportunities.